A glittering awards ceremony for the Dunstable and Houghton Regis Business & Community Business Awards took place last week. It was a fabulous evening celebrating the achievements of business, charities and individuals within Dunstable and Houghton Regis. – give local companies the opportunity to celebrate success. – celebrate the achievements of the local residents in this area. Suzanne and Steve Spicer from Spicer & Co Chartered Accountants were delighted to attend the awards ceremony – and thrilled to learn that Spicer & Co won recognition as Highly Commended Business of the Year. Are you based in Dunstable or Houghton Regis? If you would like to know more about these awards and maybe enter the 2018 competition? Visit the awards Dunstable and Houghton Regis Awards website to find out more. What’s Involved with Limited Companies? Business owners choose to create a limited company for two key reasons: limited liability and/or perceived credibility. But what is involved with running a limited company? What roles are needed within a limited company? In its simplest form, a limited company can be operated by just one person. This individual would be the sole director and shareholder of the business. Many ‘one man band’ limited companies exist where the sole director is also the sole shareholder. For example – several consultants who use our accountancy services operate in this way. Secretaries – it is optional for private limited companies to have a Company Secretary; this role mandatory for public limited companies. Again, the Company Secretary role can be allocated to a person or a corporate body. A company can change directors/secretary at any time by informing Companies House of the changes. What do these limited company roles entail? Directors are responsible for making sure all filing deadlines are met for business tax, payroll, and accounts. Also, they must ensure that the accounting records and documents are complete and accurate. These are personal obligations and Directors can be held accountable if responsibilities not met. You can employ an accountant to carry out these tasks, but the ultimate responsibility lies with the Director(s). The Company Secretary can assist the Director(s) and help reduce workload involved. Beyond these tasks, the financial planning and tax advice available from accountants helps to optimise your company’s profitability and efficiency. Helpful information can be found at Companies House website, with more details for businesses, the self employed and employers available at: www.gov.uk. For a tailored, no obligation discussion about your own situation and plans, pop in for a chat with the team at Spicer & Co. Let’s talk. Making Tax Digital is HMRC’s planned changes to the requirements for submission of tax returns and accounts. In a nutshell, the programme increases the frequency of accounts submission (from annually to quarterly) and online tax accounts will become compulsory. Making Tax Digital is huge – the biggest change to tax since the introduction of self assessment. (Read our ‘What is Making Tax Digital?’ blog for more details.) It has understandably caused huge shockwaves amongst business owners and the self employed, many of whom need to change from their current systems. A phased implementation of Making Tax Digital was planned from April 2018. Those affected were: self employed, partnerships and landlords with turnover above the annual VAT threshold of £85,000. Big Making Tax Digital News! Making Tax Digital will be available on a voluntary basis for the smallest businesses and other taxes. Do You Have Any Making Tax Digital Queries? At Spicer & Co Chartered Accountants we offer a wide range of tax services and are supporting our clients to ensure that they meet their Making Tax Digital obligations. Our friendly team is happy answer any questions about Making Tax Digital – and to put the kettle on! Let’s talk. Tax Investigation Services – Don’t Worry! Insurance. We hope we never need it, but it’s good to know that we’re covered… just in case. Some insurances are mandatory – such as motor insurance. Others are optional – such as house insurance – and give us peace of mind that the policies are there if we need them. This applies to businesses too. Employers’ Liability is required by law if you employ people. It isn’t compulsory to have insurance to protect you from accountancy fees incurred via a HMRC (Her Majesty’s Revenue & Customs) investigation. But – with the number of investigations rising, it offers peace of mind to business owners who want to avoid the extra cost and stress of being probed by HMRC. Why is Croner Taxwise protection a good idea? An increasing number of individuals and organisations are being selected for investigation. This can be done randomly, or because someone you’re working with has been investigated. (7% of tax inspections are triggered at random.) Or – you could have been chosen by “Connect”. “Connect” is HMRC’s new £100 million computer. It analyses data from a variety of sources – UK-based and overseas. It finds discrepancies between identified and reported income. The result? More investigations. In addition, Making Tax Digital will be phased in from 2018. It is anticipated that this new system could also create additional investigations. What does Fee Protection insurance include? – You enjoy peace of mind that you will receive all the professional support you need from your chartered accountant – without the worry of the final bill. All of these services – and the peace of mind that accompanies them – are available for an annual fee of just £149 + VAT. To find out more about tax services or Taxwise protection, contact the team at Spicer & Co Chartered Accountants. 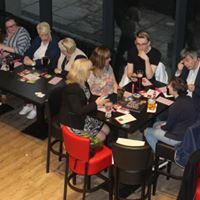 On Thursday 18th May we hosted our Charity Bingo Night, held at HQ Sport’s Bar in Dunstable who kindly offered the venue for free. At Spicer & Co Chartered Accountants, we support Level Trust – a Luton charity which works tirelessly to support the young people and children in Luton who live below the poverty line. Whilst we are based in Dunstable, our work spans across the region and we are delighted to support this local Luton group. Our bingo night was great fun and raised £1,545 for Level Trust, Luton. Level Trust exists to remove the barriers that poverty brings to a child’s education. The charity works in partnership with schools and families to ensure that every child has what they need to do their very best at school. We provide financial and accounting advice voluntarily to Level Trust. The whole team at Spicer & Co Chartered Accountants would like to say a huge thank you to everyone involved – the organisers, venue, those who donated prizes and – of course – all the bingo players! Your support will make a huge difference to a wonderful Luton charity. Visit their website to find out more information: www.leveltrust.org.